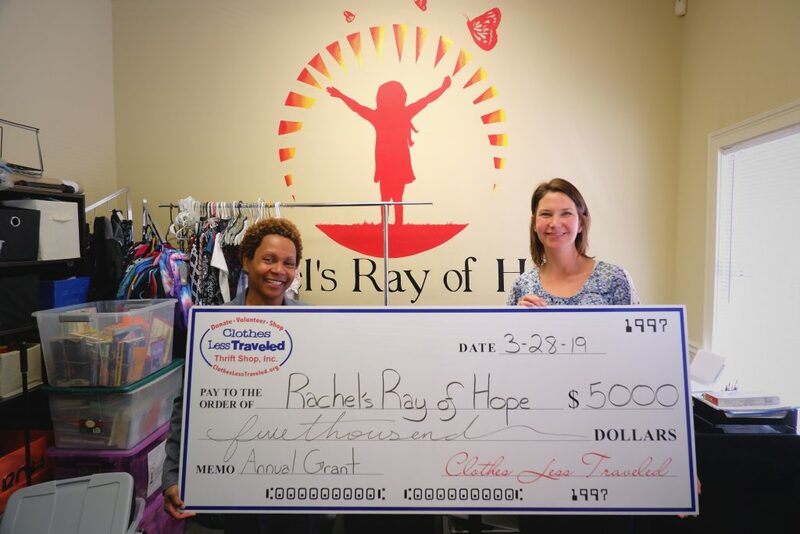 Clothes Less Traveled has awarded a Spring Grant of $5,000 to Rachel’s Ray of Hope. We are so grateful to have Mrs. Keri in our community providing wardrobes and school supplies for local children. Rachel’s Ray of Hope gives our neighbors a place to receive dignity, style, and often unexpected healing. Clothes Less Traveled is honored to support your mission. Many local low-income families and families experiencing emergency circumstances are challenged with meeting fundamental needs. Clothing that is the right size, comfortable, warm and allows a child to fit in with peers is essential to a positive learning environment. 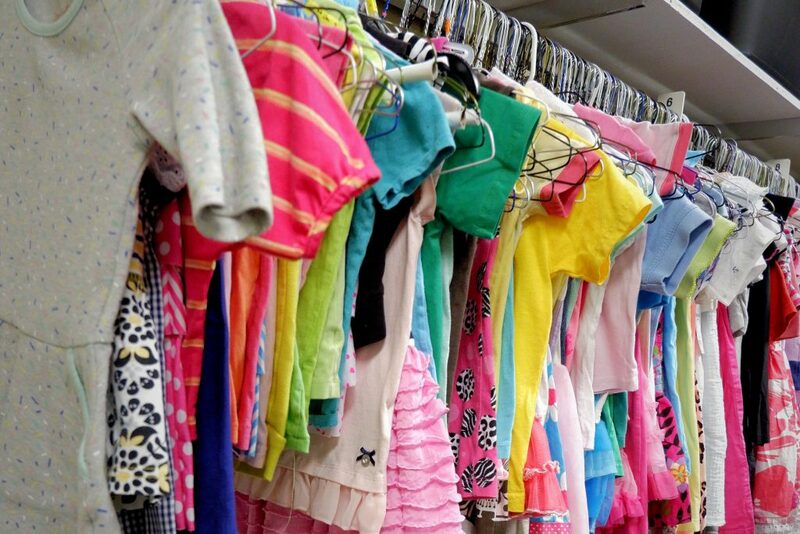 At the Ray of Hope Clothing Closet, they will supply a school wardrobe, (3 pants/shorts, 4 shirts, sweatshirt and jacket) new underwear and socks, and a new back pack filled with grade appropriate school supplies. Rachel’s Ray of Hope transforms the lives of children through compassionate giving, and Clothes Less Traveled is honored to support them. Our mission is to serve our local community, so we are proud to see our impact through Rachel’s Ray of Hope.